"Oh mama sweet jesus. This was amazing. The pulled pork sandwich was so over flowing with tender melt in your mouth meat. i could of made 2 sandwiches. I couldnt believe i ate it all. And that sauce.... Wow. Should be bottled." "Swung by for lunch the other day & had the pulled pork sandwich. Not even kidding when I say it was By Far the Best BBQ sandwich I've ever had! I was shocked at how good this place is to be honest. 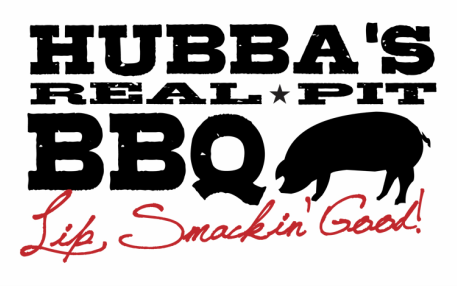 Don't let Hubba's location & unassuming presence fool you! They have nailed BBQ on the head & I guarantee you won't find a better place within hundreds of miles that will satisfy your BBQ appetite quite like this place. Very reasonable prices too. Keep up the good work! Highly recommend!" "I just got done eating the brisket and the pulled pork! I must say this is the best bbq I've had since I left Texas! You brought me back home! You did it right Hubba. Smoke rings, natural smoked flavor, tender, juicy, and the bbq sauce, while not needed, is amazing as well! I will definitely be back over and over! I recommend everyone goes!" "Best BBQ I have had since living in North Carolina, so good, I was dreaming about it all weekend. Sooooooo good"
"The food is amazing. The brisket is so thick and so tasty. Love having this so close to home, no need to head into the city for good BBQ." "Delicious southern style BBQ in Westford…life is good!" "Oh yes, this is the real thing! Most excellent Smoked BBQ. Portions are generous and the prices are reasonable (particularly given the quality and quantity of the food). If you are anywhere near route 110 this is a must stop. I would travel a long distance to enjoy this high quality BBQ. OUTSTANDING"